Designer, gamer, animator – wherever your primary use for a monitor comes from, getting the best 4K monitor is essential. While games and movies can look superb in 1080p, a 4K image ends up being somewhat mind-blowing. 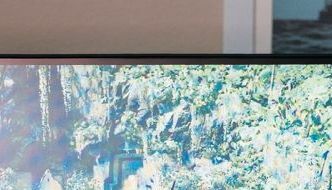 There are plenty of options out there claiming to the best 4K monitor, but some are clearly better than others. Whichever one of these professions you call your own, and whether you’re seeking a magnificent screen for work or play, we’ve put together a list of our picks for the best 4K monitor you can buy right now. Come see! Choosing the best 4K monitor for you Monitors and other kinds of computer displays have all sorts of fancy tech designed for specific uses these days. All this new technology gives us a huge range of options when it comes to picking a brand new PC monitor. Alongside 4K monitors which prioritise resolution, you can also get ultra-wide (21:9) monitors which are ideal for video editors, displays with high refresh rates … [Read more...] about Best 4K monitor in 2018: is a UHD monitor worth it?